Congratulations to Jacob Mollison on achieving his 200 game milestone but he had to travel further than any other umpire in the history of the game to achieve it, Shanghai! Jacob came onto the list in 2008 from the VFL via Albury in the Ovens and Murray Football League after umpiring 3 grand finals in that competition, then two senior VFL grand finals. Jacob has umpired one AFL final in 2011. 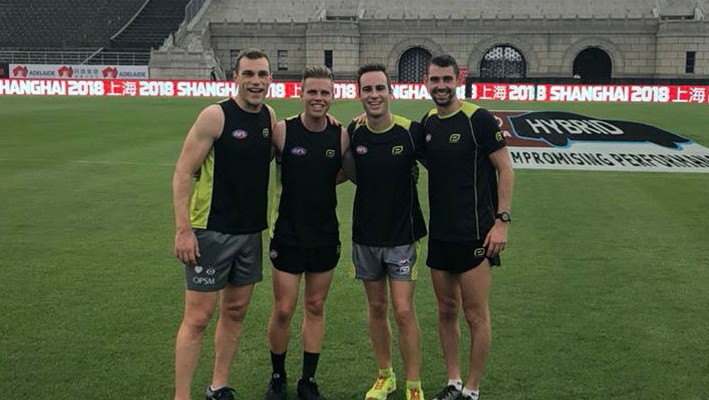 Ironic that the Queensland based goal umpires were in China on the weekend when a Queensland side staged a great win at the Gabba. It’s fair to say they haven’t seen one for a while. And the game wasn’t without drama! Firstly, the scoreboard displayed the wrong scores during the game, then it was turned off when they couldn’t fix it and to add to the confusion, the ground announcer was calling out the wrong scores during the match. The ‘Gabba Goalies’ certainly missed a good weekend! So what role does an emergency goal and field umpire play in the lead up to the Shanghai game? They have to travel and prepare as if they were going to umpire, but it is one hell of a way to go to simply sit the bench? It was good to see Rob O’Gorman back in the AFL on Saturday night following the birth of his second child. Congratulations also goes to Brett Rogers on the birth of his first. Nathan Williamson had his work cut out on the weekend. 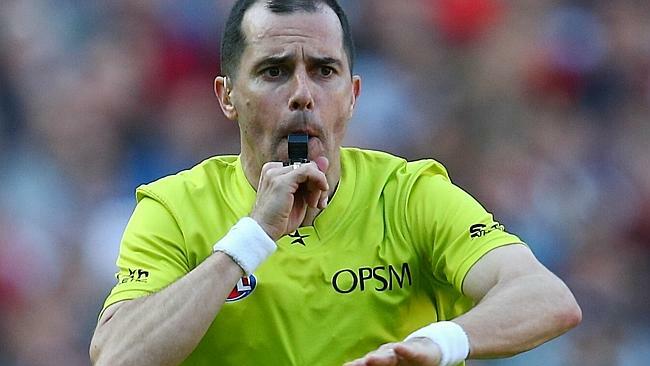 He umpired in the torrential rain in Adelaide on Friday night, came home Saturday morning to sit as the emergency field umpire in the Geelong v Essendon match only to find himself umpiring again just prior to half time when Justin Schmitt had to leave the ground with a torn hamstring. Nathan slept very well on Saturday night. The umpiring department will be very relieved that there are only 8 games this weekend with the ongoing injuries striking down our field umpires. Both the boundary and goal lists are all fit and firing, not so with the field umpires. Following a couple of weeks of controversy around umpire contact the association has called for some calm. We all agree that contact at times is inevitable. We also want players and umpires to feel comfortable in each other’s presence and not have a zero tolerance approach. Our view is simply that all unnecessary contact be eliminated. The MRO and the AFL have continued their strong stance on umpire contact when umpires are coming out of a bounce. Three more charges were laid this weekend which makes a total of 10 in three weeks. Our FM MDE participant this weekend was an avid Carlton supporter who got to meet his footy heroes prior to the game. Harry Weinberg was full of energy assisting the umpires at the MCG on Sunday. To see more of Harry’s day tune into our video later in the week. Michael Saunders – a remote 200!